With the depletion of the global rainforests, it’s becoming increasingly more important that we cut down on our paper usage. As a writer, I’m probably more of a culprit than others when it comes to unnecessary paper waste. However, with the help of Create Booklet by By Vogelbusch & Co, you can decrease the amount of paper that you print off by up to 75%. Create Booklet has been the standard solution for creating booklets for over 100,000 users worldwide for the last 10 years. The latest upgrade has made it even easier and simpler to use whilst remaining quick and fuss-free. It organises your pages side by side, re-sorting them for booklet printing. It’s a simple and quick solution to generate a PDF booklet regardless of what printer you have. To recap, a booklet is a stack of pages that when folded in the middle can be read as a book. This means that you will need to have two pages fitted into one and you’ll need to re-sort all pages so that they appear in the correct order once folded. This sounds easy enough, but without the correct formatting software or printer it can become a horribly fussy and time-consuming task. Create Booklet does all of this for you and as it’s a PDF service, you can create your booklet directly from the print panel. 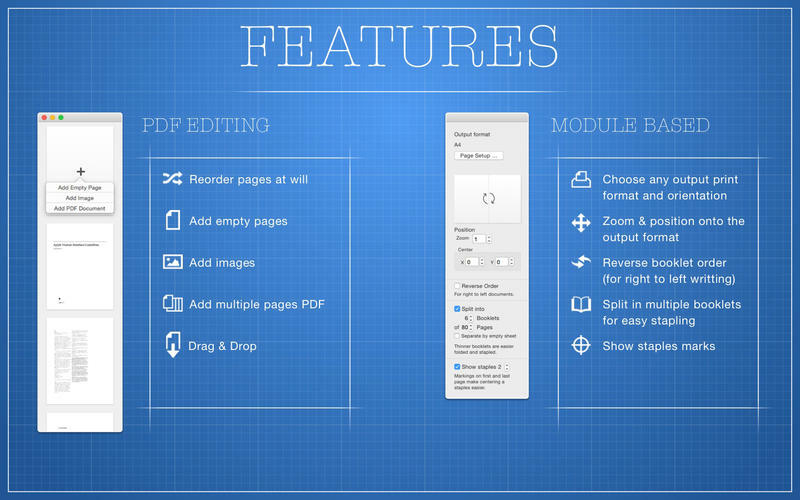 It also allows you to edit the PDF directly, add in empty pages and images or remove unneeded ones. The booklet format is a satisfying way to read and access material over a whole range of different disciplines. The obvious one being printed books or short stories; but it’s also handy for printed scripts, journal articles, dissertations and other research papers. 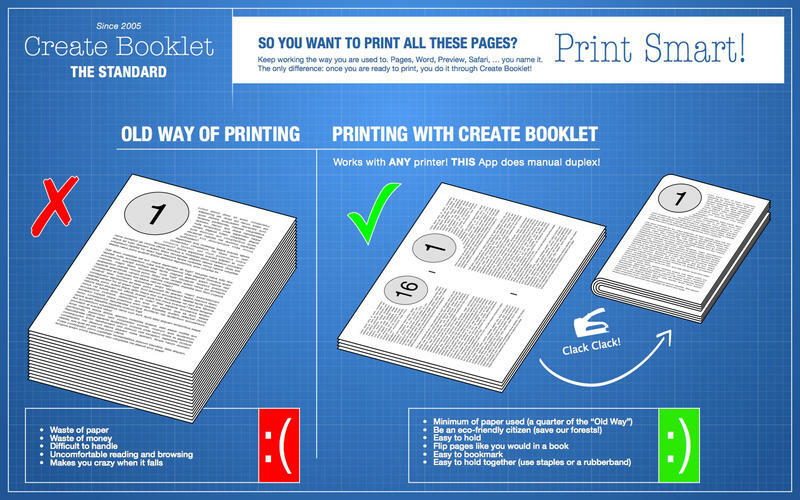 Create Booklet offers a quick and easy solution for printing PDFs in booklet from. It’s just $9.99 from the App Store and if you plan on printing out a lot of material, then the added benefit of having an easy-to-use formatting system that can be applied to any device or app, on hand and when you need it, makes the price well worth while.